Updated to the new millennium, gently paced comedy Mother & Son maintains a ready charm and a light, breezy air. 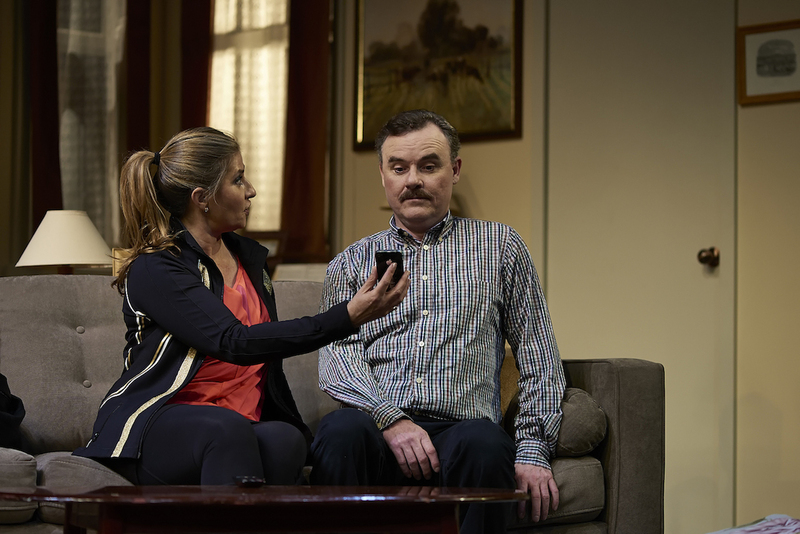 Adapting his highly successful television series for the stage, Geoffrey Atherden has mined a treasure trove of new scenarios that elevate the material well beyond a simple of rehash of the tried and true original. Indian call centres, skype, mobile phones, zumba, twitter, snapchat and many more ubiquitous modern day minutiae score a mention, clearly placing the action here and now. 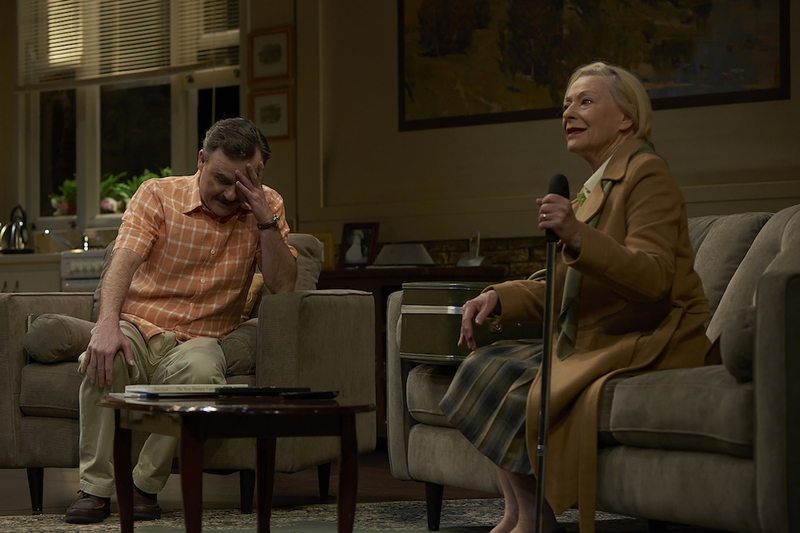 A reboot of sorts, the play presents the original Mother & Son characters living in 2014. Middle-aged Arthur Beare struggles to dote on his memory-challenged mother Maggie Beare, who only has eyes for her golden-haired son Robert Beare. 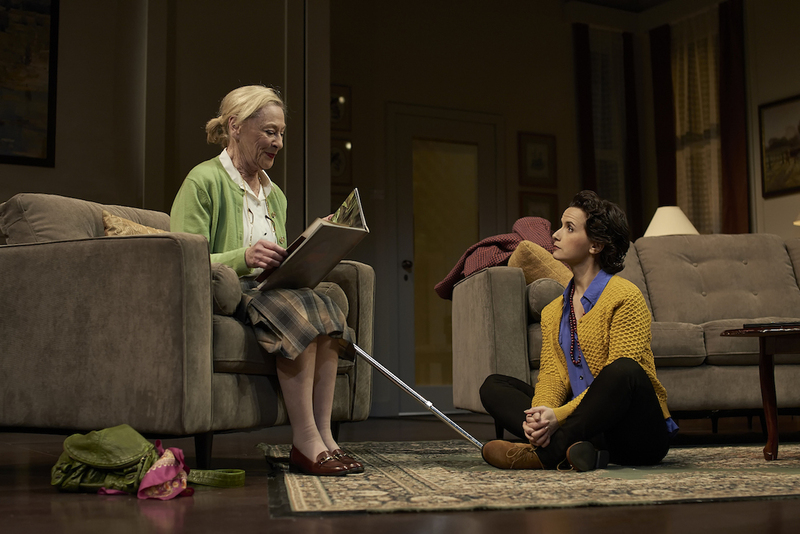 The play has the feel of a sitcom episode stretched out to a movie-length episode, with the stakes raised just enough for both of Mother’s Sons to have story arcs. Subplots and cameo appearances add to the variety, and Atherden’s script is peppered with a reasonable number of laugh-out-loud one-liners. An aspect of the reboot is that the actors are not simply recreating the original performances. Director Rodger Hodgman has guided the new cast to their own characterisations, a move that adds to the freshness of the piece, although this also means that the piece struggles somewhat against our firmly implanted memories of the original. 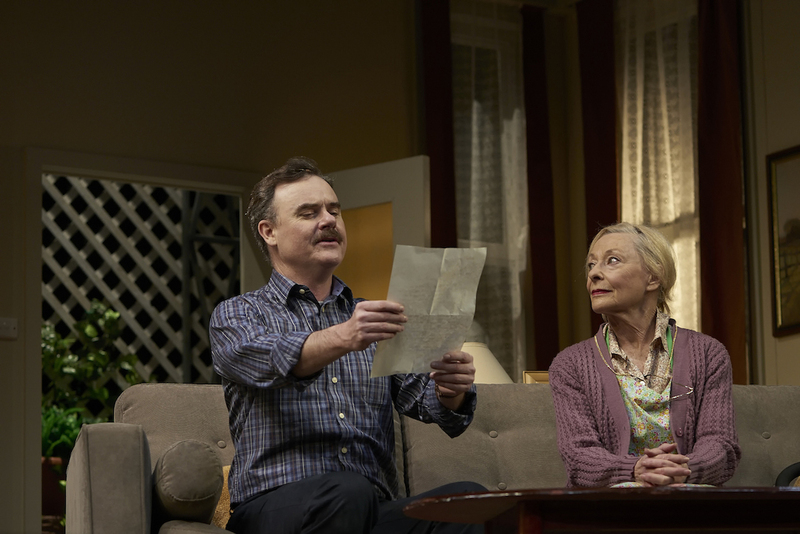 Hodgman makes good use of the space in Shaun Gurton’s sunny suburban set, with moments of physical comedy and sight gags along the way. A clever touch to cover scene changes is the use of pre-filmed skype sessions between Maggie and her begrudgingly polite grandchildren. The chat that descends into a shoving, biting fight is a cracker. Although the thought of technology-challenged Maggie initiating a skype chat is a bit of a stretch, the prospect of Arthur setting up the calls to give himself a little break makes total sense. Pre-recorded phone calls are also used for some scene breaks, but these tend to run out of steam as the night progresses. Esther Marie Hayes shows a deft hand with her costume designs, providing touches of humour while keeping a natural feel that is never in the slightest danger of going over the top. The rainbow of pastel spring colours for Maggie are highly flattering. In all too rare, but exceedingly welcome, appearance, Australian comedy survivor Noeline Brown is a spry, twinkly Maggie, who easily wins the audience’s hearts. If there is a criticism here, it is that Maggie appears almost too alert to be as confused as the story suggests. Brown is at her best when Maggie deliberately exaggerates and twists situations for sympathy, also clearly conveying Maggie’s canny understanding of her extended family’s various motives. She is just not given that wicked edge that made Maggie scheming delight in the original. Darren Gilshenan plays down the exasperation of Arthur, giving him a quiet, internal desperation. While this choice means that Arthur’s personality does not come across all that strongly from the stage, it cements Arthur as the “normal” protagonist, the lone voice of sanity as chaos descends. We empathise with Arthur, and savour his well-deserved romance. It is a credit to the skill of Atherden, Hodgman, Brown and Gilshenan that the play can conclude in a satisfyingly sentimental manner without a hint of mawkishness. 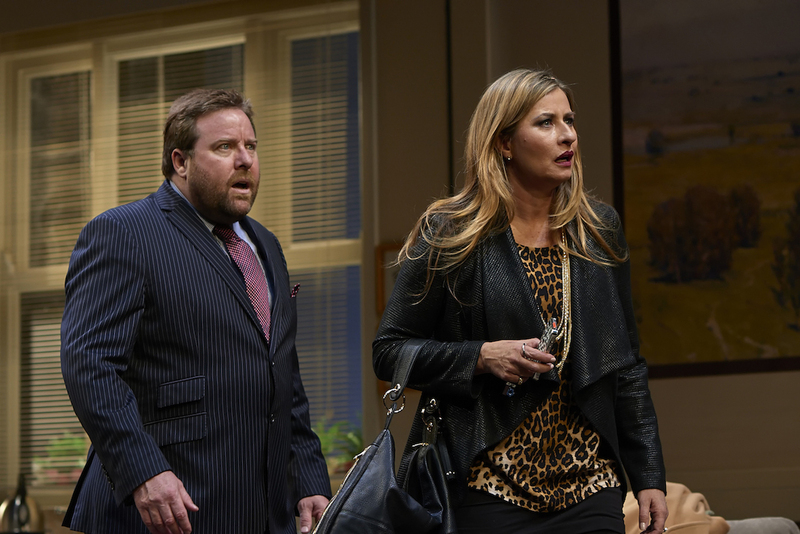 Shane Jacobson portrays the brash confidence of philandering dentist Robert, projecting an easy grin that makes it difficult to detest his character’s selfish, sleazy actions. Nicki Wendt is perfectly cast as Robert’s glamorous wife Liz, who seems to need her zumba-driven fitness just to have enough energy to keep up appearances. Wendt’s smoky voice is ideal for delivering withering zingers (if only she had a few more to impart). It is testament to the talents of both Jacobson and Wendt that their characters cannot simply be pigeonholed as selfish or unlikeable. Both expertly play struggling, if somewhat self-centred, adults who completely believe that their actions are valid and justified. Kellie Rode is charming as Arthur’s compassionate new love Anita. Robyn Arthur is luxury casting as respite resident Monica, who introduces Maggie to a world where she can have like-minded friends her own age. Jade Redman and Jarrod Redman are adorable, and all too believable, as Robert and Anita’s high-achieving progeny, Bronte and Jarrod Beare. With an underlying message of positivity and empowerment, Mother & Son is a pleasant night at the theatre. 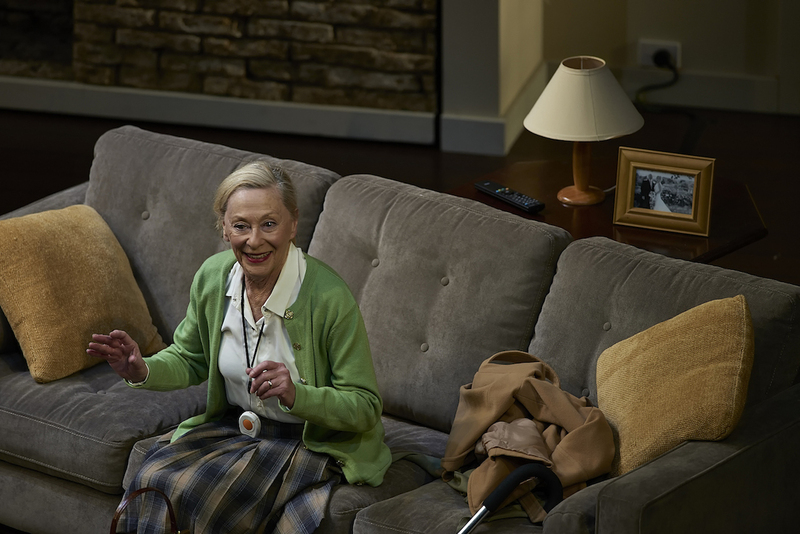 Mother & Son plays at Comedy Theatre, Melbourne, until 24 August 2014.